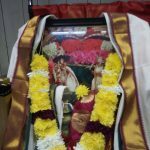 Categories: Divine Names, Guru Poornima. 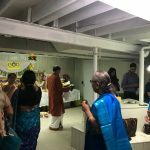 By the grace of Sri Sri Swamiji, Detroit GOD Chapter had a wonderful Guru Poornima satsang at Sri.Sridhar Venkatachari and Smt. 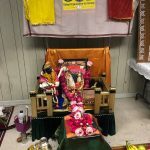 Booma Sridhar’s residence in Bloomfiield on Thursday, July 26th 2018 from 7am to 7pm. 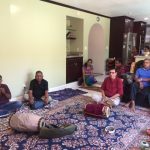 About 35 people participated in the satsang. 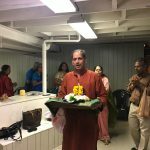 A 12 hour Akanda Maha Mantram Kirtan was conducted. 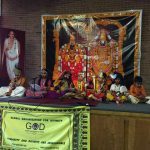 Sri Dattamurthy Paunarkar family from Houston Satsang participated in the Guru Poornima event. Dattamurthy’s daughter sang two Panduranga Abhang at the end of the event followed by the recital of Mahamantra kirtan. 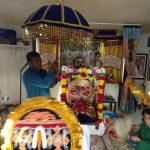 A special procession of Sri Swamiji and His Divine Padukas took place to the the chanting of Maha Mantra. 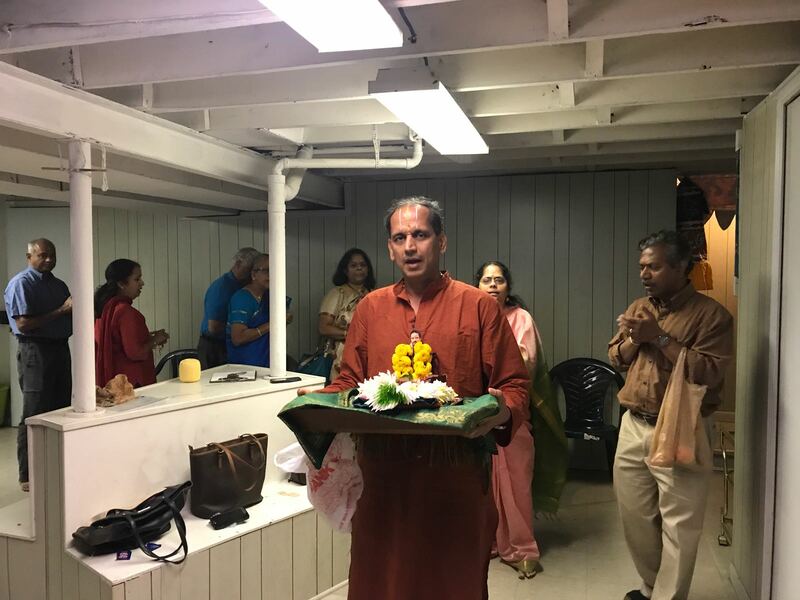 The devotees offered flowers and Namaskarams to Sri Sri Swamiji and Sri Premika Varadhan.